I’m still shocked that 2014 is here as it really doesn’t seem like that is possible. A year ago we were on a road trip visiting the southwest US and now we’re living here (for about 6 months). 2013 was a whirlwind for my family. I can’t even begin to tell you how we closed down a business, packed up a house and sold more than half of our belongings and then took a 26’ U-Haul across the country without any jobs lined up. Sounds crazy, right? Well to tell you that we’ve made it and we love it is what I would you like you to know. We made it work; we’re making it work and learning so much along the way! Life is not perfect; I don’t think anyone has a perfect life. What is perfect anyway? We’re learning, growing and enjoying. At the end of last year I turned 30 and I’ll tell you that I was honestly dreading it miserably. I was being ridiculous and harsh on myself. Turns out that when you turn 30, you feel the same as when you were 29 and 28 and all the rest of those ages. Getting older is okay and I’ve learned that there are far worse things than aging. 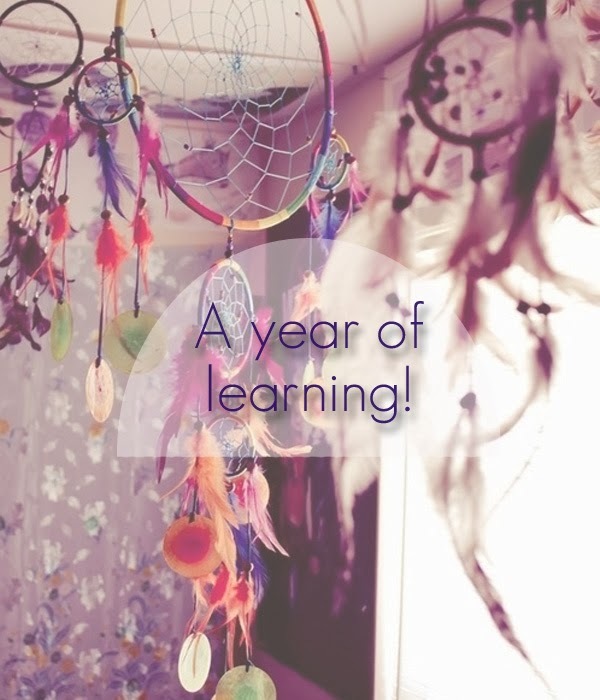 2014 is now here and this year I’m trying to focus on stretching myself and trying things that are out of my norm. I’m going to do things that I want to do and I’m going to say “No” to things I want to say it to. 6 months ago started my family’s next chapter of our story and I’m going to continue breaking out of the comfort zone we were in for so long and do something extraordinary. I’m learning to let go and just love and live in the moment. I hope to continue inspiring my readers to take that step and try something new. Explore your thoughts and do something you love because you love it not just because it’s cool. Super duper love to you all and thanks for another fabulous year! I love how you ended this with, "explore your thoughts and do something you love because you love it not just because it's cool"...so true! Something I'm going to try to live by in 2014 :) cheers!